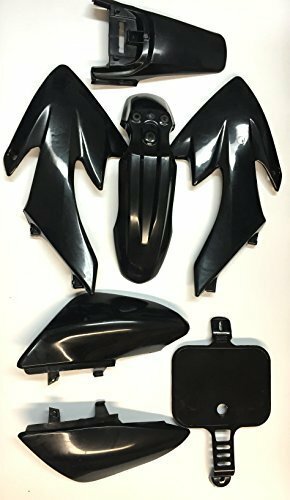 FLYIN 50's BLACK LOOK 7 pcs PLASTIC FULL BODY KIT CONDITION: Brand New COLOR: Injection black finish with Matching Number Plate 7 PCs Complete kit includes: CRF50 style fenders, tank shrouds and number plate. Upgrades the look of the XR50 to make it look like the CRF50, all CRF50 Decal kits go right on! Fitment: Fits XR/CRF 50 and their copies or most pit bikes on the market. This item is made of plastic, Good quality! Get the same cool looks at such great prices! 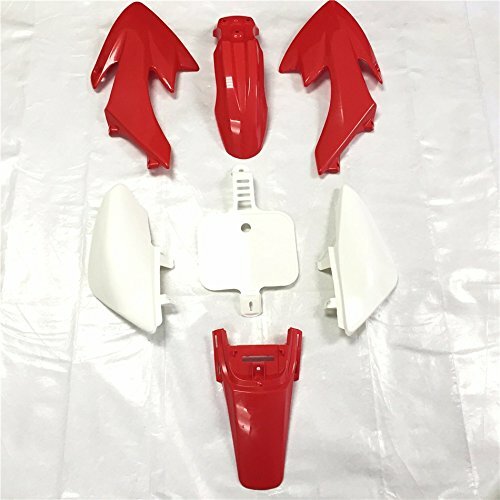 FLYIN 50's RED LOOK 7 pcs PLASTIC FULL BODY KIT CONDITION: Brand New COLOR: Injection red finish with Matching Number Plate 7 PCs Complete kit includes: CRF50 style fenders, tank shrouds and number plate. Upgrades the look of the XR50 to make it look like the CRF50, all CRF50 Decal kits go right on! Fitment: Fits XR/CRF 50 and their copies or most pit bikes on the market. 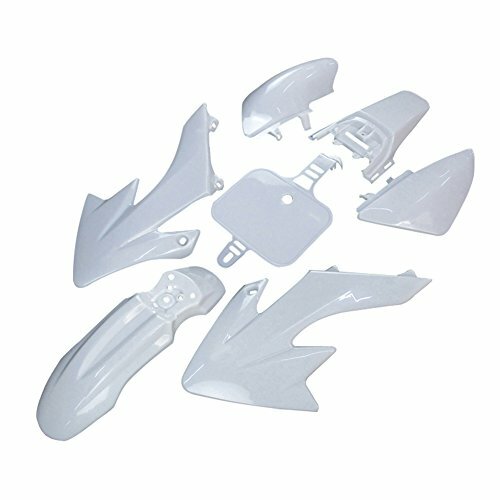 This item is made of plastic, Good quality! Get the same cool looks at such great prices! 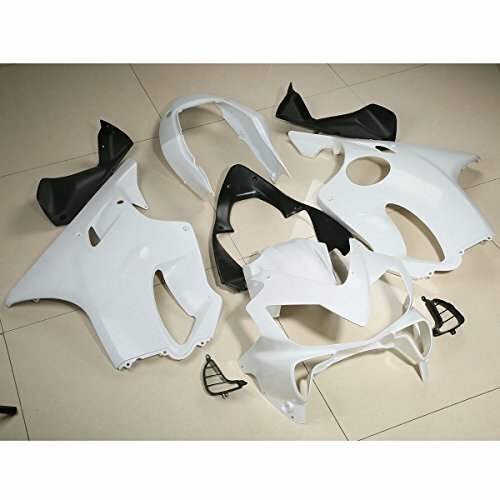 FLYIN 50's CARBON FIBER LOOK 7 pcs PLASTIC FULL BODY KIT CONDITION: Brand New COLOR: Injection CARBON FIBER finish with Matching Number Plate 7 PCs Complete kit includes: CRF50 style fenders, tank shrouds and number plate. Upgrades the look of the XR50 to make it look like the CRF50, all CRF50 Decal kits go right on! Fitment: Fits XR/CRF 50 and their copies or most pit bikes on the market. This item is made of plastic, Good quality! Get the same cool looks at such great prices! 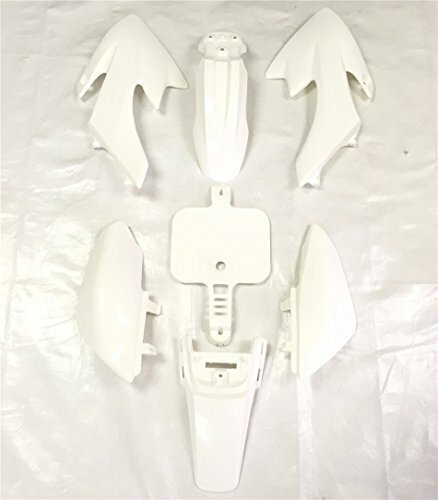 FLYIN 50's WHITE LOOK 7 pcs PLASTIC FULL BODY KIT CONDITION: Brand New COLOR: Injection white finish with Matching Number Plate 7 PCs Complete kit includes: CRF50 style fenders, tank shrouds and number plate. Upgrades the look of the XR50 to make it look like the CRF50, all CRF50 Decal kits go right on! 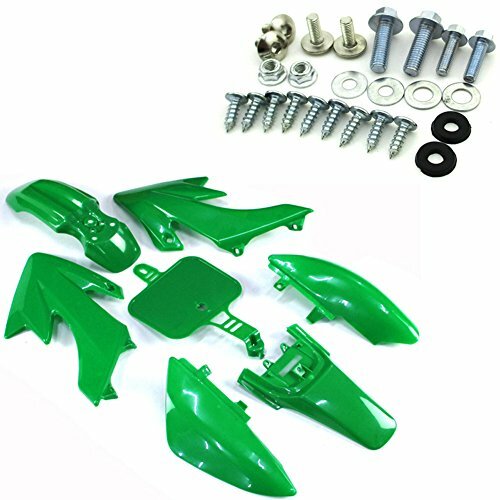 Fitment: Fits XR/CRF 50 and their copies or most pit bikes on the market. This item is made of plastic, Good quality! Get the same cool looks at such great prices! 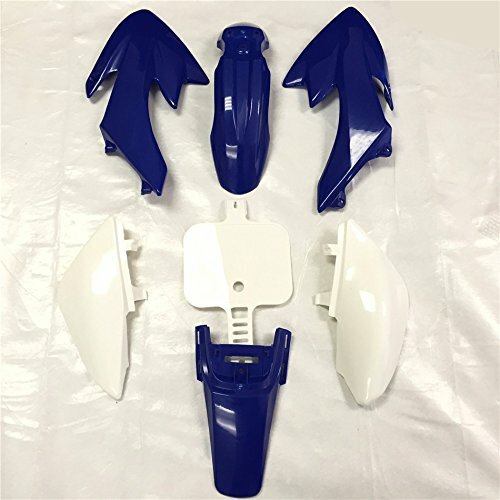 FLYIN 50's Blue LOOK 7 pcs PLASTIC FULL BODY KIT CONDITION: Brand New COLOR: Injection blue finish with Matching Number Plate 7 PCs Complete kit includes: CRF50 style fenders, tank shrouds and number plate. Upgrades the look of the XR50 to make it look like the CRF50, all CRF50 Decal kits go right on! Fitment: Fits XR/CRF 50 and their copies or most pit bikes on the market. 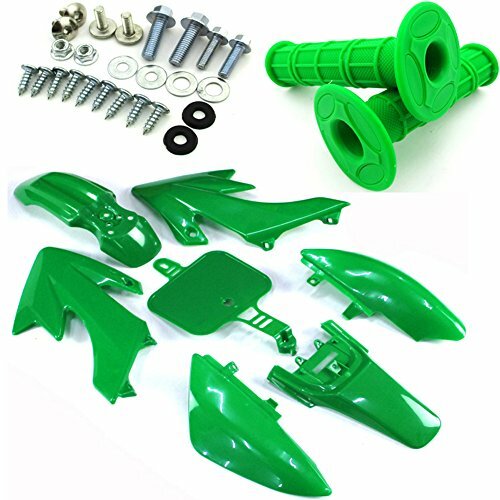 This item is made of plastic, Good quality! Get the same cool looks at such great prices! 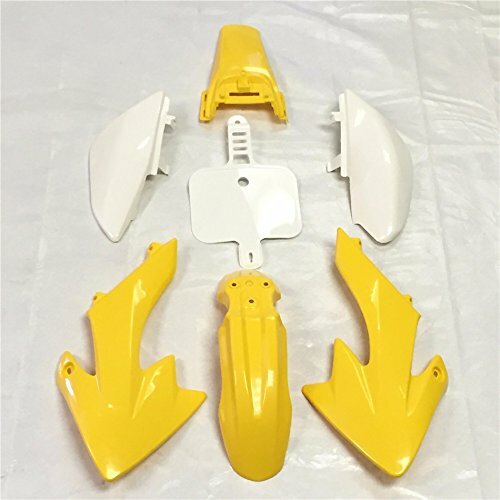 FLYIN 50's YELLOW LOOK 7 pcs PLASTIC FULL BODY KIT CONDITION: Brand New COLOR: Injection yellow finish with Matching Number Plate 7 PCs Complete kit includes: CRF50 style fenders, tank shrouds and number plate. Upgrades the look of the XR50 to make it look like the CRF50, all CRF50 Decal kits go right on! Fitment: Fits XR/CRF 50 and their copies or most pit bikes on the market. This item is made of plastic, Good quality! Get the same cool looks at such great prices! Honda Fit. Body repair. Ремонт кузова. 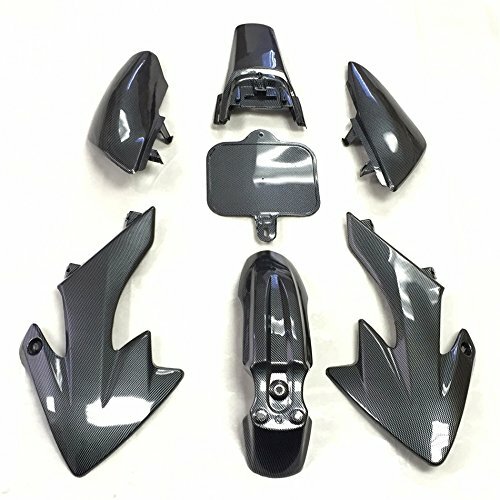 Compare prices on Honda Body Work at TopShopion.com – use promo codes and coupons for best offers and deals. We work hard to get you amazing deals and collect all avail hot offers online and represent it in one place for the customers. Now our visitors can leverage benefits of big brands and heavy discounts available for that day and for famous brands.